Simon & Schuster, 9781439140222, 304pp. 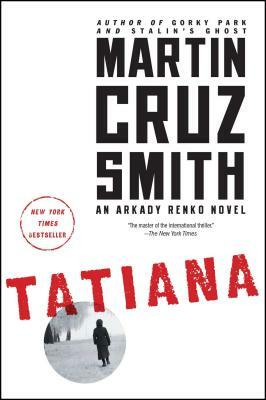 Martin Cruz Smith's “masterful” (USA TODAY) and “irresistible” (People) New York Times bestseller and Washington Post notable book of the year: Arkady Renko must connect the dots among a Russian journalist’s mysterious death, corrupt politicians, murderous gangsters, and brazen bureaucrats. Arkady Renko, one of the iconic investigators of contemporary fiction, has survived the cultural journey from the Soviet Union to the New Russia, only to find the nation as obsessed with secrecy and brutality as was the old Communist dictatorship. In Tatiana, the melancholy hero unravels a mystery as complex and dangerous as modern Russia itself. The reporter Tatiana Petrovna falls to her death from a sixth-floor window in Moscow the same week that a mob billionaire is shot and buried with the trappings due a lord. The trail leads to Kaliningrad, a Cold War “secret city” that is separated by hundreds of miles from the rest of Russia. The more Arkady delves into Tatiana’s past, the more she leads him into a surreal world of wandering sand dunes, abandoned children, and a notebook written in the personal code of a dead translator. Finally, in a lethal race to uncover what the translator knew, Renko makes a startling discovery that draws him still deeper into Tatiana’s past—and, paradoxically, into Russia’s future, where bulletproof cars, poets, corruption of the Baltic Fleet, and a butcher for hire combine to give Kaliningrad the “distinction” of having the highest crime rate in Russia. "Masterful . . . Renko is one of the most compelling characters in modern fiction, sarcastic, quietly heroic, humble, depressive yet with a romantic's eye of a future that could be. . . . Smith's writing conveys irony, social commentary and wry humor."